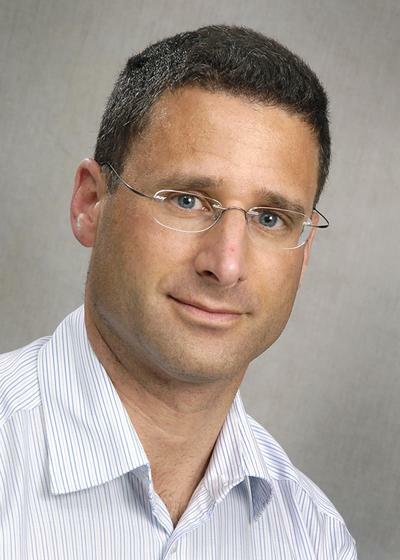 Saul N Faust is Professor of Paediatric Immunology & Infectious Diseases and Director of the Southampton NIHR Wellcome Trust Clinical Research Facility. As an MRC Clinical Training Fellow in Paediatric Intensive Care & Infectious Diseases and then Clinical Lecturer at Imperial College London, he completed his PhD on the pathophysiology of coagulation abnormalities in meningococcal sepsis, work that led directly to clinical trials in paediatric intensive care. Current projects include work to bridge the clinical-laboratory interface in paediatric and adult infectious diseases, immunology and respiratory medicine (including biofilm-related clinical diseases), developing local and national collaborative clinical trials in paediatric infectious diseases, and conducting paediatric and adult vaccine trials as part of the UK academic paediatric vaccine group. Professor Faust is currently Chair of the UK NIHR Medicines for Children Clinical Specialty Group Chairs' Forum and the Clinical Speciality Group for Allergy, Infectious Diseases and Immunity. He is Wessex Clinical Research Network Specialty Lead for Paediatrics and co-Director of the South Central Children’s Research Network (SoCCR). Professor Faust is clinical lead for the University of Southampton Institute for Life Sciences Biofilm and Microbial Communities Research Group. Together with colleagues from the Faculty of Medicine (Stuart Clarke, Rami Salib), Faculty of Natural and Environmental Sciences (Jeremy Webb, Bill Keevil) and the National Centre for Advanced Tribology in the Faculty of Engineering (Paul Stoodley), the group have developed a range of methods based in the Southampton NIHR Wellcome Trust Clinical Research Facility (WTCRF) and University laboratories, including direct and confocal microscopy, live/dead stain and analysis, colony forming unit assessment, fluorescent in-situ hybridisation (FISH) and quantitative PCR, that together act as novel microbiological biomarkers to assess the response of ex-vivo biofilms before, during and after the use of novel treatments in clinical trials, and to better diagnose and understand biofilm-related diseases. As part of the Southampton National Institute for Health Research Respiratory Biomedical Research Unit we are currently investigating novel adjunctive therapies in cystic fibrosis, paediatric otitis media, adult CRS, catheter-related intravascular line infections and ventilator-associated pneumonias, as well as working on orthopaedic implant and wound infections. Professor Faust leads and participates in clinical trials aimed at understanding disease and improving the clinical management of paediatric infections and acts as Southampton principal investigator on a number of NIHR non-commercial and commercial portfolio clinical trials. Professor Faust has established the Southampton NIHR WTCRF as one of the main academic paediatric vaccine centres that form the UK Paediatric Vaccine Group. In collaboration with colleagues at Oxford, Bristol and St Georges London he shares the leadership, design, and delivery of multicentre vaccine trials and acts as Southampton PI for NIHR commercial portfolio paediatric and adult vaccine research. Professor Faust also collaborates with the Oxford Jenner Institute to enroll Southampton adults in early phase trials of novel influenza and malaria vaccines and with Professor Robert Read in Southampton to develop bacterial and viral challenge models and develop new vaccines. With Stuart Clarke (Clinical and Experimental Sciences), Professor Faust leads the paediatric clinical component of longitudinal molecular epidemiological bacterial carriage studies to inform vaccine policy and design. Together with Tony Williams (Cancer Sciences), Professor Faust co-leads a programme of work investigating novel innate immune defects in children and families with recurrent infections but no defined immunodeficiency. The group have combined new investigative approaches that assess immune competency in innate immune pathways with participation in national and international collaborations. As the Southampton NIHR WTCRF Director, Professor Faust ensures the CRF acts as the operational focus of the Southampton Centre for Biomedical Research, working with colleagues across the University and University Hospital Southampton Foundation Trust to ensure easy access to research facilities for all investigators and maximum efficiency and economy of scale across the translational research infrastructure. Rampling, T., Ewer, K. J., Bowyer, G., Bliss, C. M., Edwards, N. J., Wright, D., ... Hill, A. V. S. (Accepted/In press). Safety and high level efficiency of the combination malaria vaccine regimen of RTS,S/AS01B with ChAd-MVA vectored vaccines expressing ME-TRAP. The Journal of Infectious Diseases, 1-26. Kent, A., Ladhani, S., Andrews, N., Scorrer, T., Pollard, A., Clarke, P., ... Faust, S. (Accepted/In press). Schedules for pneumococcal vaccination of preterm infants: an RCT. Pediatrics. Coulter, T. I., Chandra, A., Bacon, C. M., Babar, J., Curtis, J., Screaton, N., ... Faust, S. (Accepted/In press). The broad clinical spectrum and unexpected features of Activated PI3-kinase Delta Syndrome; large patient cohort study. Journal of Allergy and Clinical Immunology, 1-32. Sukhtankar, P., Tebruegge, M., & Faust, S. N. (2012). Self-assessment: tuberculosis and chronic granulomatous disease. Paediatrics and Child Health, 22(5), 211-215.
de Whalley, P., Walker, W., Snape, MD., Oeser, C., Casey, M., Moulsdale, P., ... Pollard, A. J. (2011). A 1-year follow-on study from a randomised, head-to-head, multicentre, open-label study of two pandemic influenza vaccines in children. Health Technology Assessment, 15(45), 1-128. Walker, W., Andrews, N., Waddington, C. S., Oeser, C., Reiner, A., John, T., ... Pollard, A. J. (2011). Relationships between reactogenicity and age, dose and immunogenicity in 937 children receiving 2 doses of ASO3B-adjuvanted split virion or whole virus H1N1 influenza A 2009 pandemic vaccines. Influenza and Other Respiratory Viruses, 5(1), 328-394. Calton, E. A., Faust, S. N., & Gray, J. C. (2011). Vaccination in the immunocompromised child: a review of the evidence. Vaccines in Practice, 4(3), 4-7. Waddington, C. S., Andrews, N., Hoschler, K., Walker, W. T., Oeser, C., Reiner, A., ... Pollard, A. J. (2010). Open-label, randomised, parallel-group, multicentre study to evaluate the safety, tolerability and immunogenicity of an AS03(B)/oil-in-water emulsion-adjuvanted (AS03(B)) split-virion versus non-adjuvanted whole-virion H1N1 influenza vaccine in UK children 6 months to 12 years of age. Health Technology Assessment, 14(46), 1-130. Jolley, D., Rees, S., Browning, D., Hall, M., Pallett, A., & Faust, S. N. (2009). Analysis of a new local microbiology database to investigate invasive neonatal infection and antibiotic resistance patterns in infants under 44 weeks’ gestation in a UK tertiary neonatal and paediatric centre from 2003 to 2008. Archives of Disease in Childhood, 94, A17-A33. Rees, S., Jolley, D., Browning, D., Pallett, A., & Faust, S. N. (2009). Analysis of a new local microbiology database to investigate epidemiology and antibiotic resistance patterns of culture-positive paediatric infections in a large teaching hospital to inform evidence-based local empirical antibiotic guidelines. Archives of Disease in Childhood, 94, A18-A18. Ahmad, N., Marsh, P., Monk, A., Pallett, A., Saeed, K., Clarke, N. M. P., & Faust, S. N. (2009). Detection of uncultured organisms in paediatric bone and joint infections by a multiplex real-time PCR panel. Archives of Disease in Childhood, 94, A1-A8. James, R., Fox, A., Bevan, A., Robinson, J., Davies, M., Staniforth, J., ... Faust, S. N. (2009). Paediatric medicines management: exploration of child, parental and healthcare professional attitudes identifies potential clinical risk. Archives of Disease in Childhood, 94, A93-A94. Faust, S. N. ., Pollard, A. J. ., Nadel, S., Ninis, N., & Levin, M. (2008). Letter. Ceftriaxone drug alert: no longer for first line use in meningococcal sepsis. Archives of Disease in Childhood, 93(2), 184-185. Jones, C. E., Smyth, D. P. L., & Faust, S. N. (2007). Opsoclonus-myoclonus syndrome associated with group A streptococcal infection. Pediatric Infectious Disease Journal, 26(4), 358-359. Van der Poel, L., Faust, S. N. ., & Tudor-Williams, G. (2004). HIV-1 infection in children: current practice and future predictions. Advances in Experimental Medicine and Biology, 549, 135-148. Bernard, G., Artigas, A., Dellinger, P., Esmon, C., Faist, E., Faust, S. N., ... Sprung, C. (2001). Clinical expert round table discussion (session 3) at the Margaux conference on critical illnesses: the role of activated protein C in severe sepsis. Critical Care Medicine, 29(7), S75-S77. Faust, S. N., Heyderman, R. S., & Levin, M. (2001). Coagulation in severe sepsis: a central role for thrombomodulin and activated protein C. Critical Care Medicine, 29(7), S67-S68. Faust, S. N., Heyderman, R. S., Harrison, O., Goldin, R. D., Laszik, Z., Esmon, C. T., & Levin, M. (2000). Molecular mechanisms of thrombosis in meningococcal septicaemia: the role of the protein C pathway in vivo. Shock, 13(Supplement 1), p.29. Finn, A., Booy, R., Levin, M., Nadel, S., & Faust, S. N. (1999). Infectious purpura fulminans: caution needed in the use of protein C. British Journal of Haematology, 104(2), 202-207. Dark, G. G., & Faust, S. N. (1998). A national trainee advisory network: a proposal. Hospital Medicine, 59(10), 812-814. Pollard, A. J., Faust, S. N., & Levin, M. (1998). Meningitis and meningococcal septicaemia. Clinical Medicine, 32(4), 319-328. Faust, S. N., Clark, J., & Clarke, N. (2011). Bone and joint infections. In M. Sharland, A. Cant, E. G. Davies, D. A. C. Elliman, S. Esposito, A. Finn, F. Gray, P. T. Heath, H. Lyall, A. J. Pollard, M. E. Ramsay, A. Riordan, ... D. Shingadia (Eds. ), Manual of Childhood Infections (pp. 38-43). Oxford, GB: Oxford University Press. Faust, S. N., Baguley, D. S., & Cathie, K. (2009). Aseptic meningitis. In Pediatric Textbook at eMedicine.com eMedicine. Faust, S. N., & Nadel, S. (2009). Purpura fulminans. In J. Revez, J-C. Roujeau, F. A. Kerdal, & L. Valeyrie-Allanore (Eds. ), Life-Threatening Dermatoses and Emergencies in Dermatology (pp. 45-56). Heidelberg, DE: Springer. Faust, S. N., & Lyall, E. G. H. (2007). Infection. In T. Lissauer, & G. Clayden (Eds. ), Illustrated Textbook of Paediatrics (pp. 225-252). Edinburgh, UK: Mosby International. Levin, M., Eley, B. S., & Faust, S. (2005). Purpura fulminans. In J. Harper, A. Oranje, & N. S. Prose (Eds. ), Textbook of Paediatric Dermatology (pp. 1902-1916). Oxford, UK: Blackwell Science. Faust, S. N. ., Habibi, P., & Heyderman, R. S. (2005). Skin manifestations of meningococcal infection. In J. Harper, A. Oranje, & N. S. Prose (Eds. ), Textbook of Paediatric Dermatology (pp. 471-485). Oxford, UK: Blackwell Science. Hughes, J. Y., Snape, M. D., Klinger, C. L., Daniels, E., Laytone, H., Rollinson, L., ... Pollard, A. J. (2009). Immunogenicity of booster doses of 13-valent pneumococcal conjugate and Hib/MenC vaccines given at 12 months of age in the UK. Poster session presented at ESPID 2009 -27th European Paediatric Infectious Diseases Annual Meeting, . Klinger, C., Snape, M., Pollard, A., Baker, S., Scott, D., Faust, S. N., ... Galiza, E. (2008). Immunogenicity of DTaP-IPV-Hib and MenC vaccines in the UK when administered with a 13-valent pneumococcal conjugate vaccine. Poster session presented at ICAAC/IDSA annual meeting, .